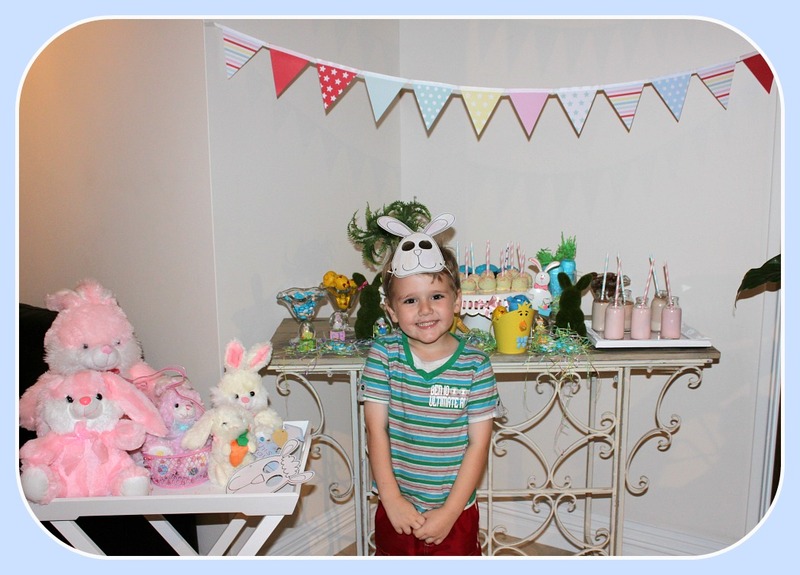 Ours was lovely and quiet and as I mentioned in my last post after my little Ethan was so keen on helping me style Paige’s christening, we decided that this year he could set up his very own Easter table. Ethan was given free reign to decide what food he wanted to put on his little table and was able to choose what decorations & plates etc he wanted to use from Mummy’s stash of party goodies! This is what he came up with :) He was so excited and we were so proud of him, it was really special so we have decided that we will make a new family tradition of letting the kids do the Easter table each year. As you can see ‘Woody’ and also one of his little hippo toys also made an appearance hehe! Was so cute and special seeing him have so much fun and im really excited about our new little tradition that I hope will carry on for many years.